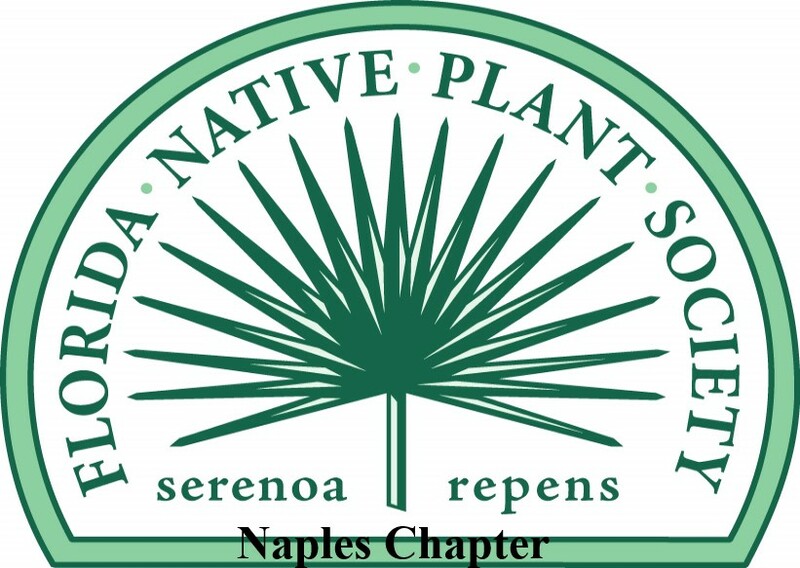 General Landscape Uses: Groundcover in open coastal areas. 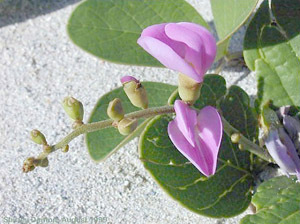 Ecological Restoration Notes: A common and important pioneer vine on beach dunes nearly throughout South Florida. 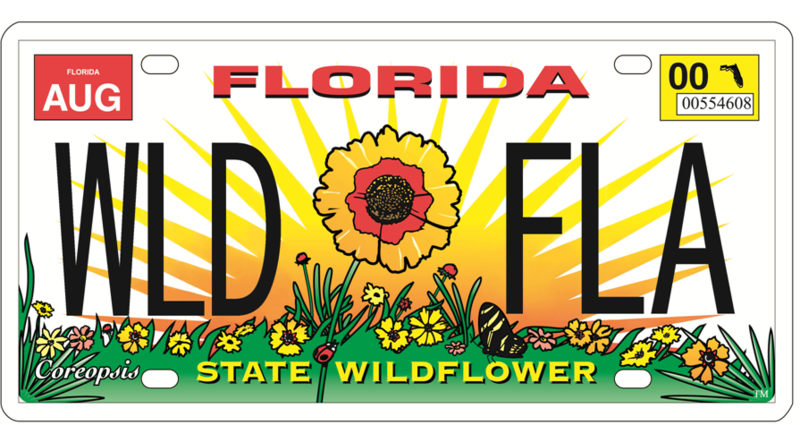 Availability: Grown by a few native plant nurseries in south and central Florida. 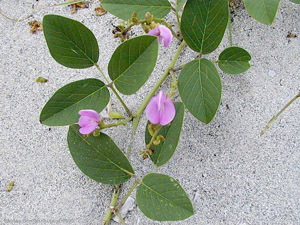 Description: Sprawling or climbing vine with very long stems. 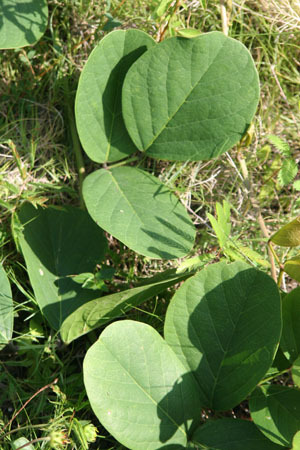 Dimensions: Typically 6-12 inches in height when creeping along the ground; stems to 50 feet or more in length and sometimes high climbing in other vegetation. Range: Monroe County Keys north along the coasts to southern Volusia County and Dixie County, scattered west to eastern Texas; West Indies, Mexico, Central America, South America and the Old World tropics. 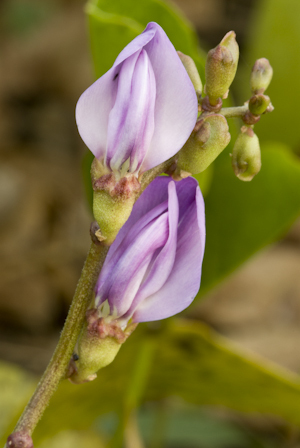 Flower Color: Pink to rose purple with white markings. 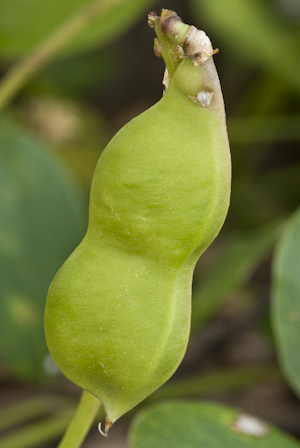 Fruit: Brown pod (legume), 4-6" long, flattened. All year. 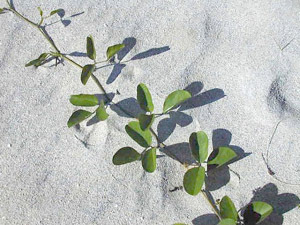 Wildlife and Ecology: An important pioneer species and sand stabilizer of beach dunes. 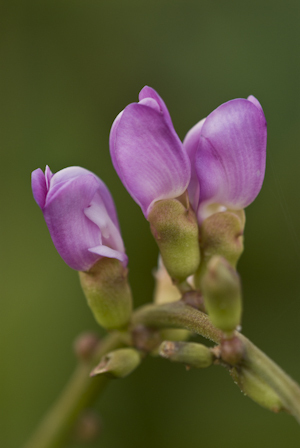 Horticultural Notes: Can be grown from seed. Soak in water for several hours to speed up germination. 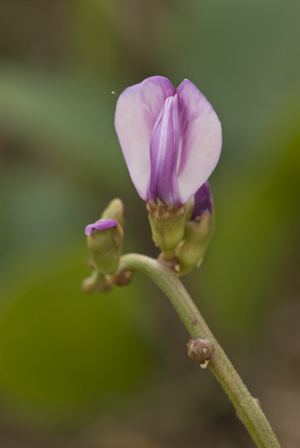 Comments: It can be aggressive in cultivation, climbing and covering shrubs and sometimes trees. 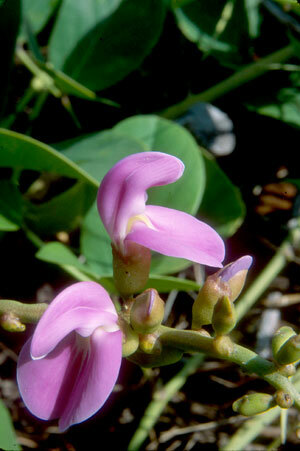 The seeds and seed pods are poisonous.